It’s important your teenage children get all the vitamins and nutrients they need every day. 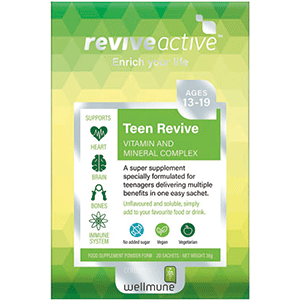 With Teen Revive, a new formulation that supports the immune system, heart, brain and bones, parents can rest assured their teens have all they need. It includes 18 vitamins and minerals, pre and probiotics, five fruit and vegetable powders and Wellmune®. Priced at €19.95. 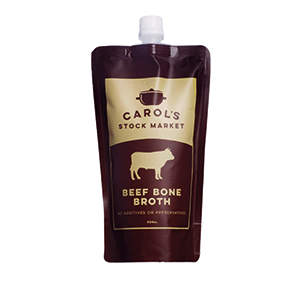 Carol’s Stock Market slow-simmered beef bone broth is full of flavour and nutrition. Grass-fed beef bones are roasted till they caramelise and are then slow-simmered with locally sourced organic vegetables for 16-plus hours to extract as many nutrients as possible. There is 20g of protein and approximately 9g of collagen per pack. Priced at €4.95 for 500ml. 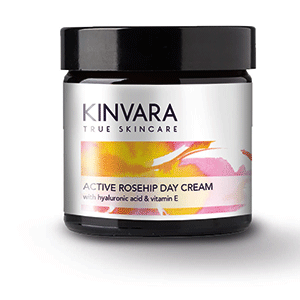 Kinvara Active Rosehip Day Cream is a wonderful anti-ageing natural moisturiser enhanced with hyaluronic acid. This cream is enriched with omega-rich plant oils, regenerating vitamins, and fragrant oils of lemon and lavender to help leave skin plumped, protected and nourished. This multiple award-winning cream is priced at €25.95. All Kinvara products are vegan friendly and cruelty-free. 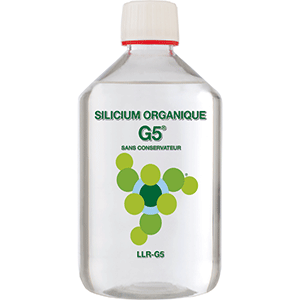 LLR-G5 Silicium Organique G5® liquid dietary supplement promotes connective tissue formation to support bone and joint health. It enhances collagen production to improve the health of hair, skin and nails. Scientifically developed, inspired by nature and made in Ireland. Discover the unique healthy-ageing properties of G5®. Priced at €21.50 for 500ml and €41.50 for 1,000ml. 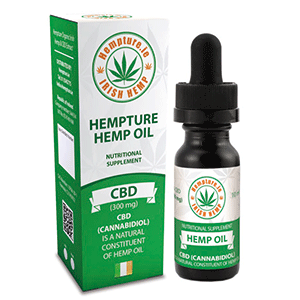 Hempture are the oldest producer of Hemp CBD in Ireland, and the first to win IIHA approval. The extracts produced by Hempture are grown in Ireland and the EU without the use of pesticides and herbicides. The strict organic production allows the CBD oil to be of the highest quality. Hempture CBD is lab tested by EIRLAB in a laboratory that is HACCP and GMP compliant. Read about more nominated products here. If you are a supplier and would like to find out about nominating your products for our next Awards, then contact sharon@jfnproductions.co.uk for details.